Hello my friends! This time I offer you to continue our journey through a wonderful South-East Asia. This time I chose a stunning city, the capital of Malaysia – Kuala Lumpur. This giant metropolis won my heart with incredible variety of architectural styles and plenty of numerous museums, parks and other attractions. Let’s start! Lovers of architecture and cultural studies will appreciate stunning Palace of Sultan Abdul Samad. Built in the 1800s, this royal mansion represents incredible combination of Mauritian and Victorian styles and fascinates with its grandeur. As a bonus you will may to see Malaysian version of Big Ben – so called 40-meter clock tower in the center of Palace. Wanting to please lovers of shopping, I originally wanted to tell you about famous Bukit Bintang district, but surprisingly I decided that most shoppers are bored already by shopping in luxury boutiques. Another story – is to make a shopping adventure at Central Market of Kuala Lumpur. Dozens of trade streets and hundreds of shops and stores, thousands of shoppers and all kinds of goods – you can stay here for the whole day, because the market is open from early morning until late evening. Stroll here, look out for goods, bargain, buy – in one word: have a fun for yourself. And if you get hungry, go to Kasturi Walk shopping street – it is an amazing culinary street! 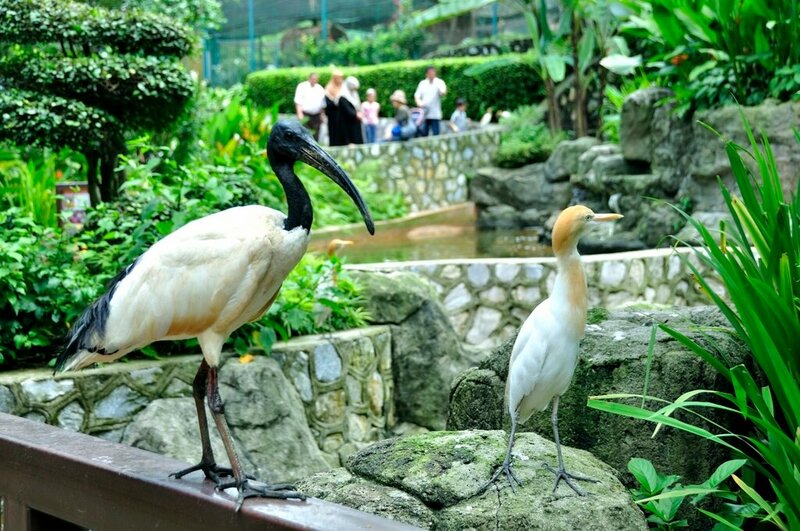 Kuala Lumpur Bird Park – is an unique in its kind nature reserve, because birds live here in complete freedom! A trip to this beautiful park will be the one of the most unforgettable memories of your holidays in Malaysia. Visitors of the park will be able to see more than two thousands of all kinds and colors of birds, already accustomed to hundreds of tourists – majestic peacocks, pelicans and flamingos walk among the picturesque lawns quietly and carefree. Nice bonus will be an exciting show with birds, included in the ticket price.